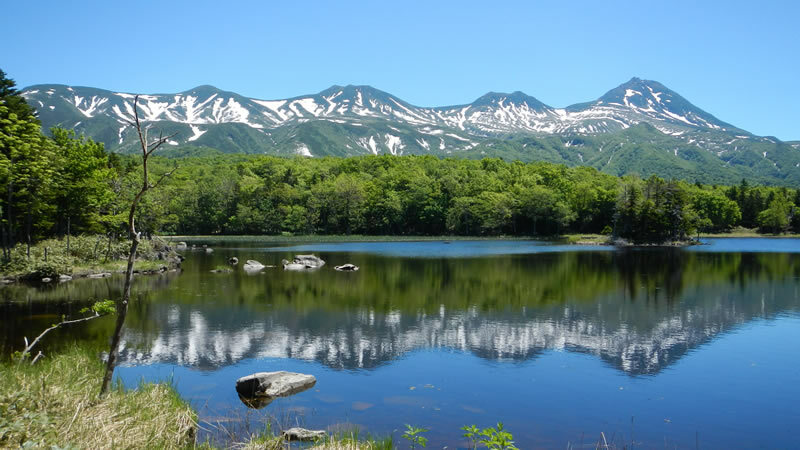 Shiretoko Goko Lakes, five small lakes mysteriously located in the midst of primeval forests backed up against the Shiretoko Mountain Range, are the habitat of many wild animals. You can see an abundance of the great nature with traces of brown bear scratches and black woodpecker bites. There are two paths to reach those lakes an elevated wooden path and a ground pathway. 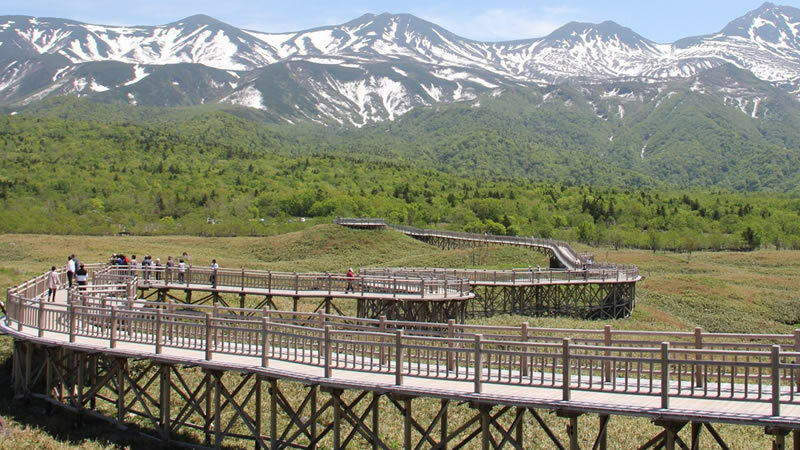 The elevated wooden path ensures a safe walk to the lakes free of charge throughout the year. The ground pathway has different visitation rules by season, but always gives you a journey to the wild nature. 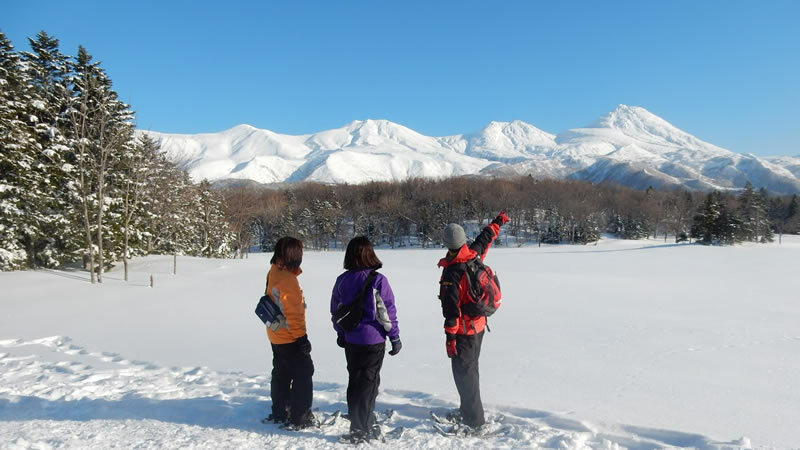 The five lakes are renowned as a symbolic scenic spot of the World Heritage Site Shiretoko because you can enjoy many different beautiful landscapes all in one place, from sea and lakes to forests and mountains. Walking distance and time are different in the long / short loop. 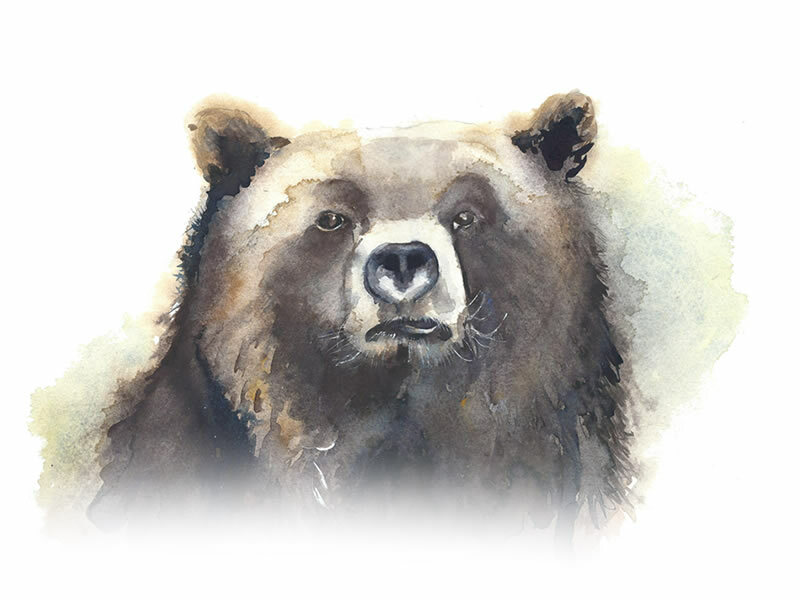 Registration during Brown Bear Activity Period We will deliver the voices of customers who participated in tour guide tour. 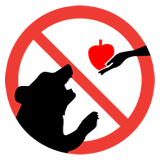 Do not feed brown bear and wildlife. 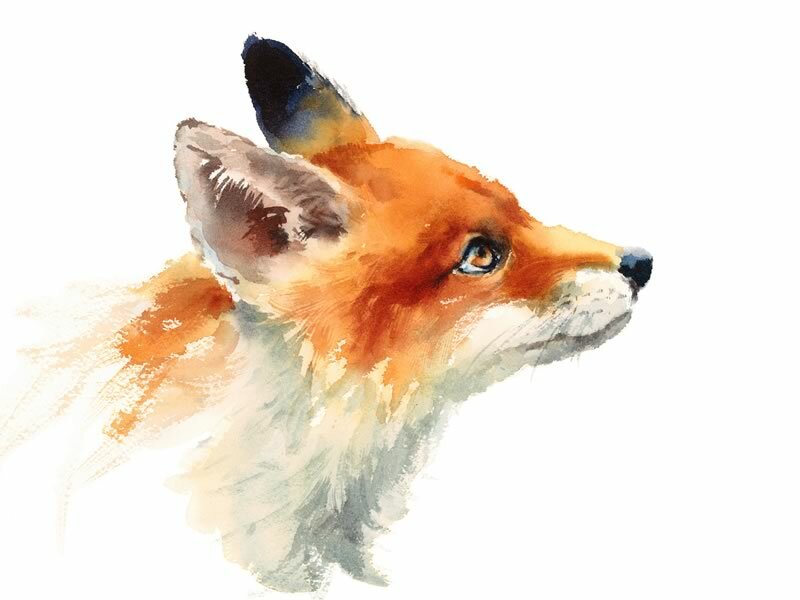 It is our promise to visit Shiretoko.